Anonymous, 24 Jan 2012hi i bought this phone last week nice built.... good i find in it Camera 5 mp is good in pi... morethanks for everything whatever you told us, please tell me how much battery back up. i am infrior to its battery back up only cause camera does not matter for me. it can run ONE DAY ( means day time 16 hours )? if i use 1 HOUR NET, whole day MASSANGING( 2-3 hours ), 3-4 HOURS MUSIC IN LEAD, 1 HOUR CALLING( May be less )I WANT ONE DAY BATTERY BACK UP, IT CAN RUN? PLEASE Tell me this only? i want to have touch mobile and i am lover of SONY and MUSIC, this phone suits me. so PLEASE tell me about battery back up. how to purchase application from market. when i tried,there is error mesg pop up "" conection fail. i just brought the 4 days ago.also didnt do any setting. Good phone, fast and responsive, good built. Camera quality is poor for a Sony Ericsson. Resolution poor compared to my old OLED San Francisco (but that phone was much slower). 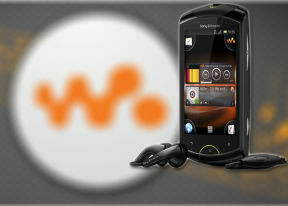 Anonymous, 24 Jan 2012hello friends i ' m little confused between two mobile's 1.Sony Ericsson Live with Walkman ... moreLive is better than c6-01 in every aspect..Android already killed Symbian..hehe. hi i am using lww from past 4 days its working fine ,initially i was confused between galaxy ace and lww and i finally bought lww.in many ways lww outperforms ace so i went with lww. 3.how to creat a folder of all applications? guys,can the secondary camera of Sony live with walkman capable of taking photos just like the 5mp camera at the back? Camera 5 mp is good in picture as well as video too..
but using wi-fi its great...battery life ..
which one i buy and tall me why. AnonD-39231, 24 Jan 2012Class of Memmory Card is the speed of it. Class 2, 4, 6, 8, 10 cards are available. The number... moreThere is no such thing as the class 8. Only class 2,4,6 and 10 exist. AnonD-39231, 24 Jan 2012Class of Memmory Card is the speed of it. Class 2, 4, 6, 8, 10 cards are available. The number... morePLEASE TELL ME ALSO. i want GOOD TOUCH screen ANDROID, BEST MUSIC phone with GOOD BATTERY back up and FAST INTERNET. CAMERA does not matter me. Display and response as always gud but worry comes with battery backup.